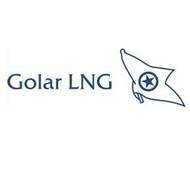 Golar LNG Partners announced that it has entered into a purchase and sale for the acquisition from Golar LNG Limited and affiliates of Keppel Shipyard and Black and Veatch of equity interests in Golar Hilli LLC, which will, on the closing date of the Acquisition, indirectly own the FLNG, Hilli Episeyo. The Acquired Interests represent the equivalent of 50% of the two liquefaction trains, out of a total of four, that have been contracted to Perenco Cameroon SA and Societe Nationale Des Hydrocarbures for an eight-year term. Golar LNG Limited announced that with effect from September 19, 2014, Sir Frank Joseph Chapman has been appointed to the Board of Directors of the Company and will act as the Company's Chairman. Sir Frank Chapman has worked 40 years in the oil and gas industry culminating in a twelve-year period as Chief Executive of BG Group plc. Under Sir Frank's leadership, BG Group grew from the modest UK-based Exploration and Production interests of the old British Gas into an international integrated oil and gas major. Operating profits grew from some $50 million in 1996 to more than $8 billion in 2012. Golar LNG Limited announced details of an expansion to its fleet, saying that it has entered into two newbuilding contracts for 162,000 cu. m. new buildings with fixed priced options for a further two with the Korean shipbuilder Hyundai Samho Heavy Industries Co., Ltd. One vessel will deliver during the third quarter of 2014 and the other will deliver during the fourth quarter of 2014. The total cost of the two vessels is slightly above $400 million. As with Golar's existing newbuilding orders, the vessels will be delivered with tri-fuel diesel electric engines. Golar LNG Limited is pleased to announce that it has entered into a firm contract to build four 160,000 m3 LNG carrriers with the Korean shipbuilder Samsung Heavy Industries Co Ltd ("Samsung"). The newbuilding contracts were originally entered into by Companies affiliated with Golar's largest shareholder World Shipholding. Golar has acquired the newbuilding contracts from the affiliated party based on the original contracting terms. Three vessels are to be delivered in 2013 and one in early 2014. The total cost of the four vessels is approximately $800 million.